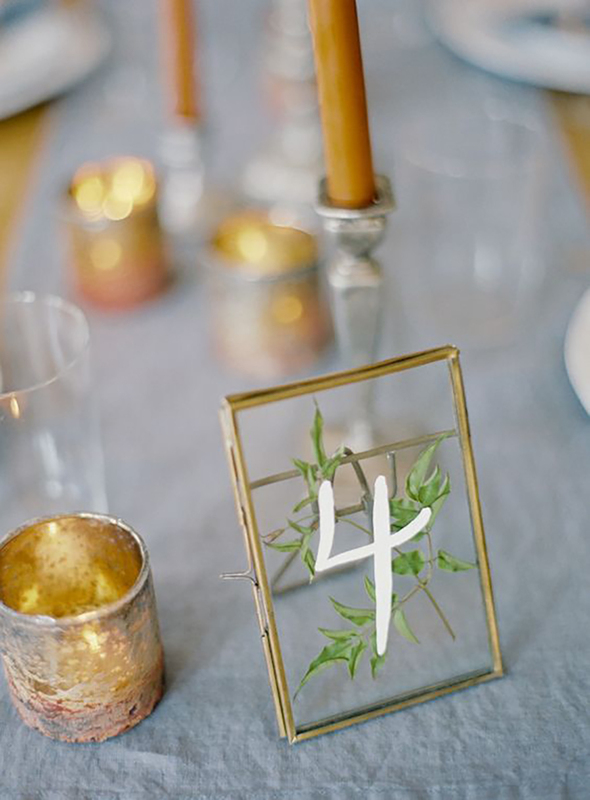 When it comes to wedding table decorations, nothing provides that personalised touch quite like doing it yourself! 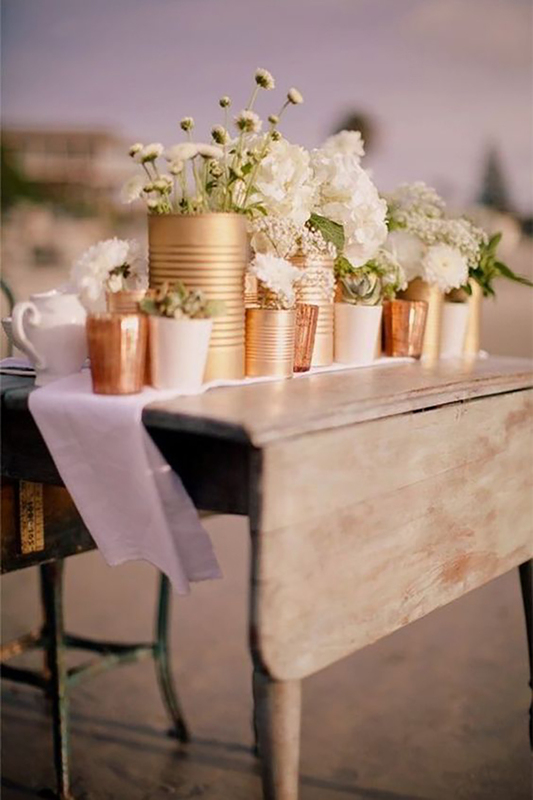 With so many possibilities for any kind of wedding, we take a look at some of the most amazing handmade wedding table decoration ideas for your special day. 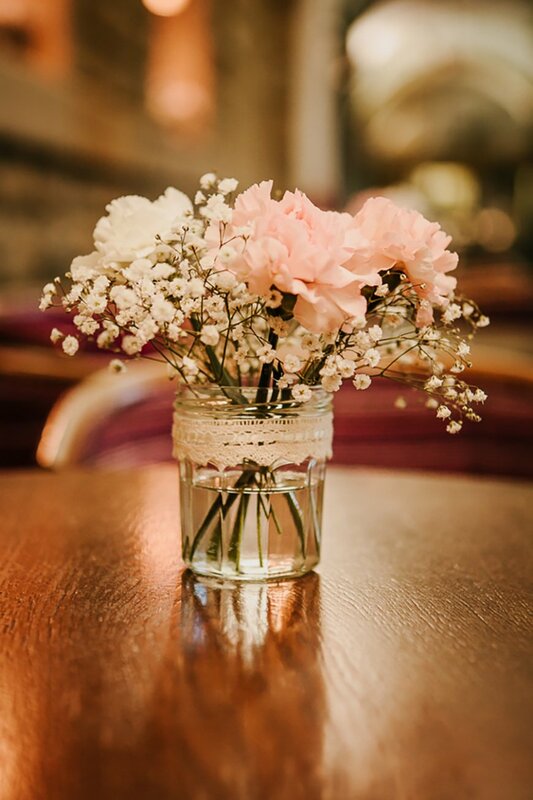 Flowers and weddings are the perfect combination, but getting that floral theme running through your wedding day can end up costing a small fortune in floristry bills! 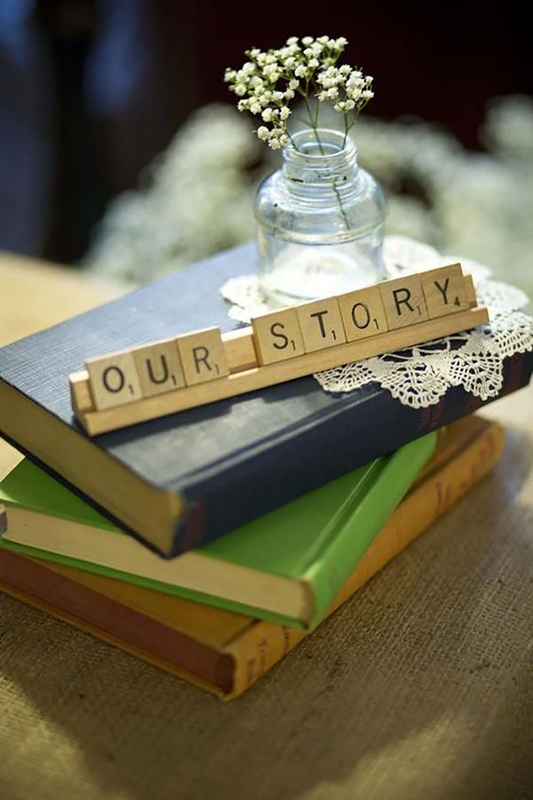 So why not get creative and go down the handmade route? 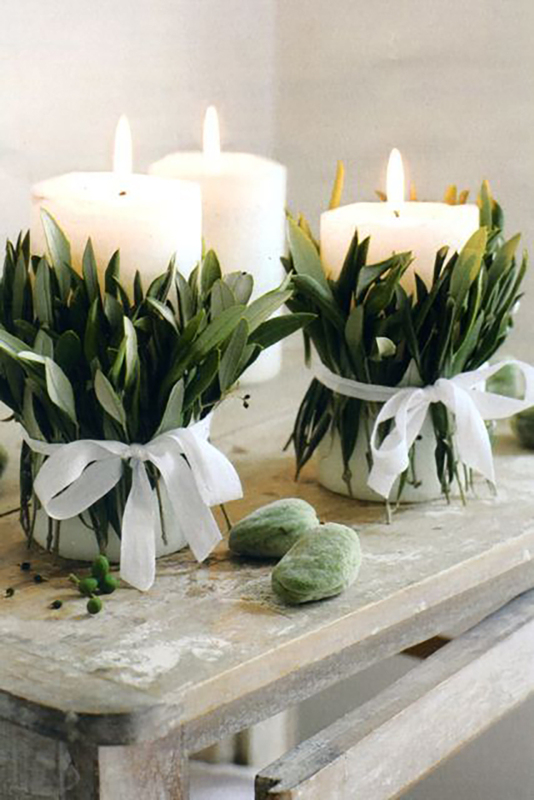 You'll be able to choose exactly what you want and, who knows, you might even discover a new love for flower arranging! 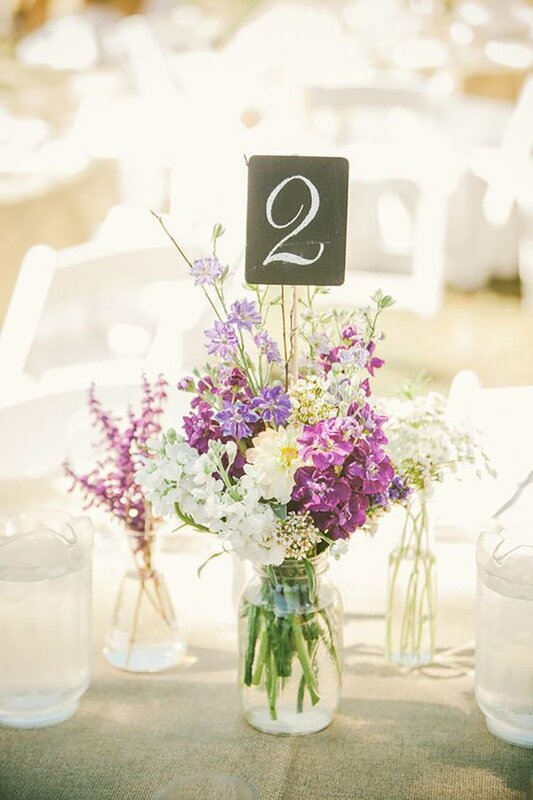 Check out these floral ideas for some wedding table decoration inspiration. 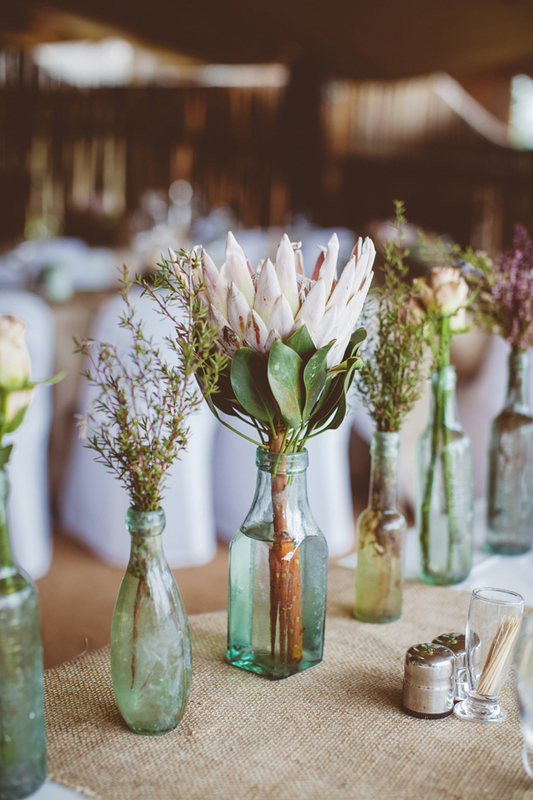 Achieve the rustic look with a simple, colourful bunch and a quirky container to put them in. 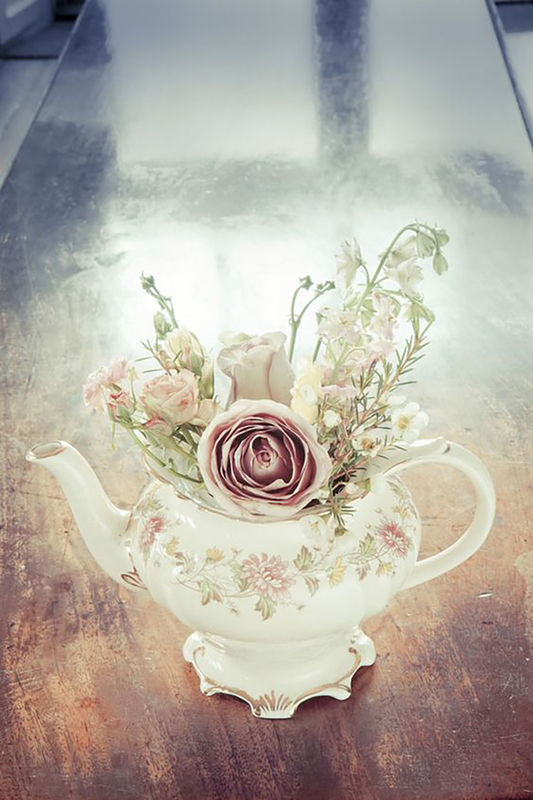 Planning a wonderfully British celebration? 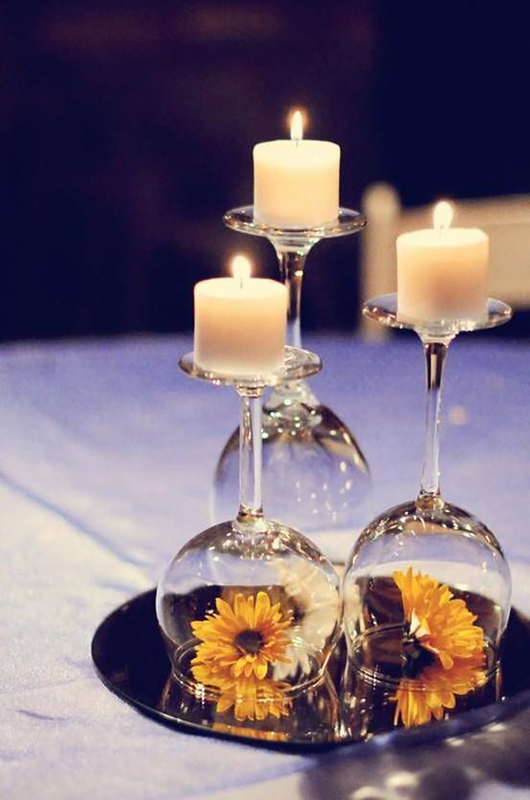 These floral ideas would be perfect! 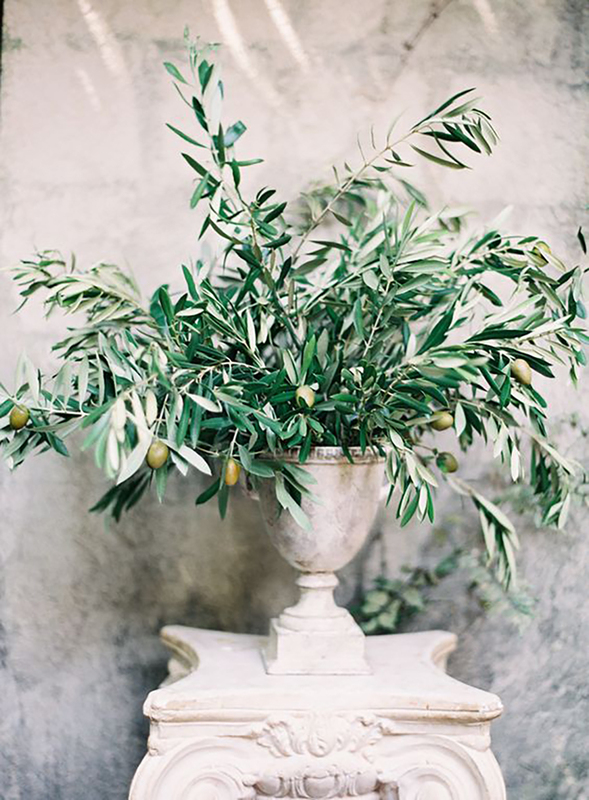 Or how about using foliage and branches for that natural look? 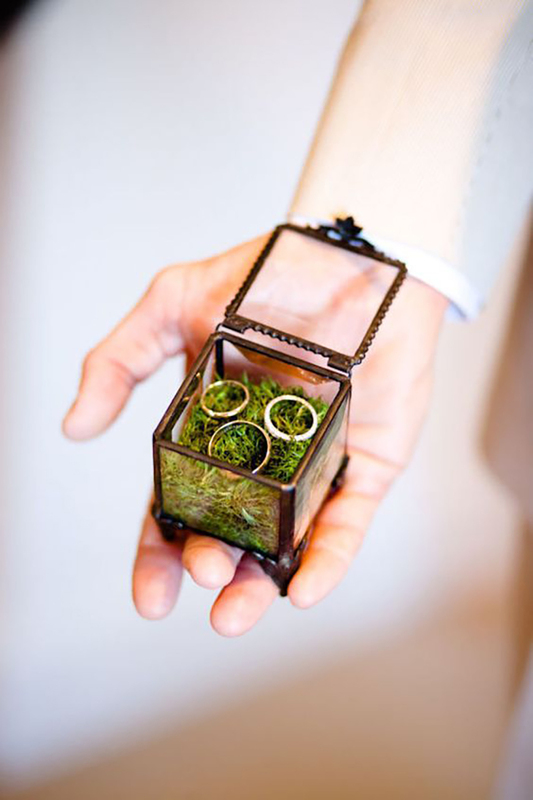 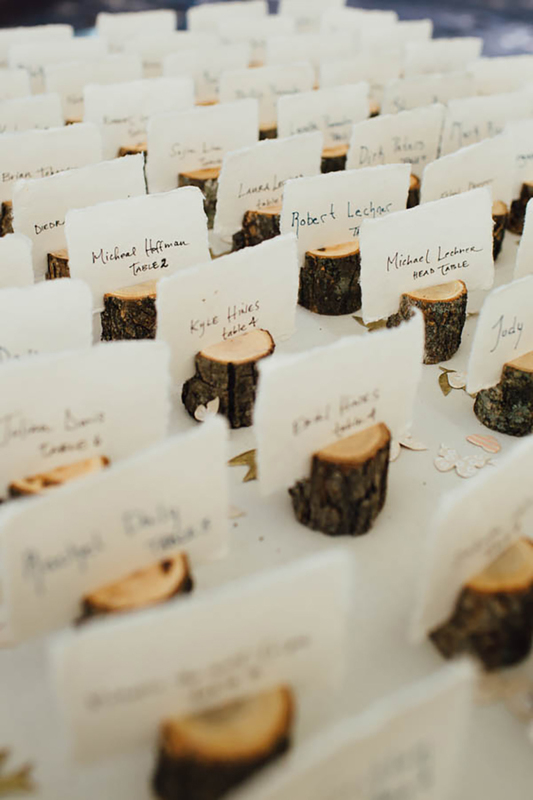 You don't have to be a hippie at heart to appreciate how good wood and trees can look as handmade wedding decorations. 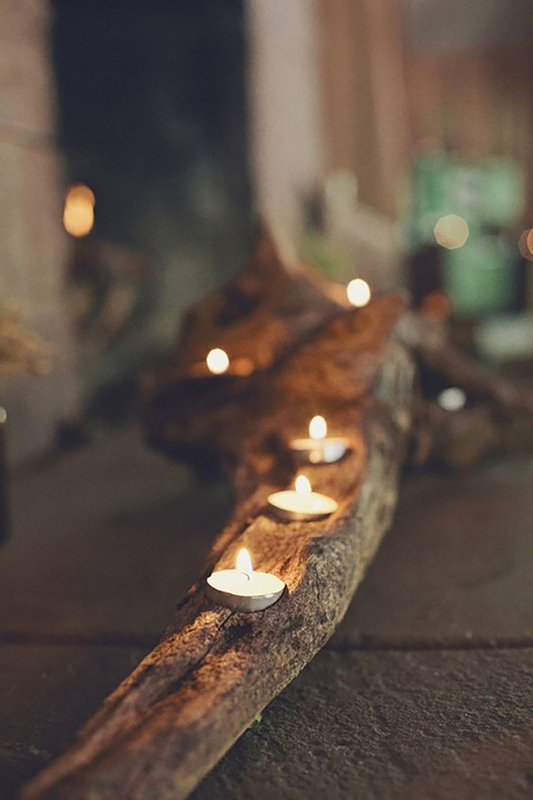 From sections of tree trunk as centrepieces to candle holders and much more in between, they all look great. 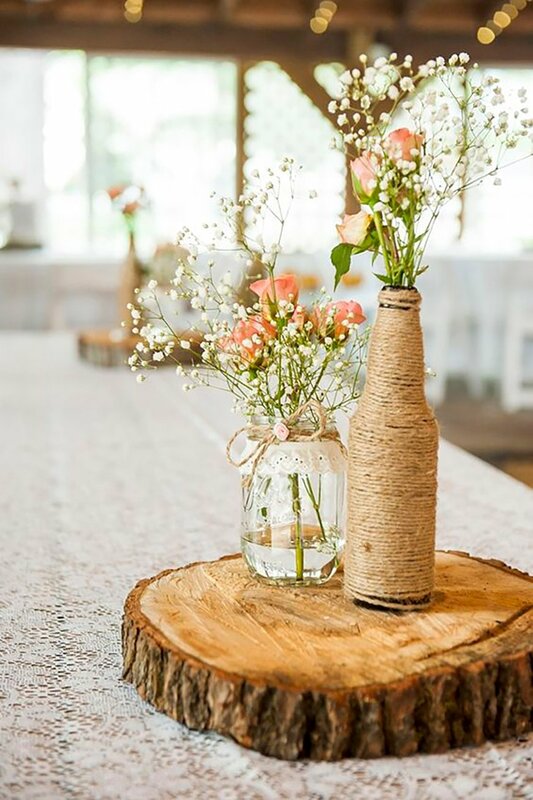 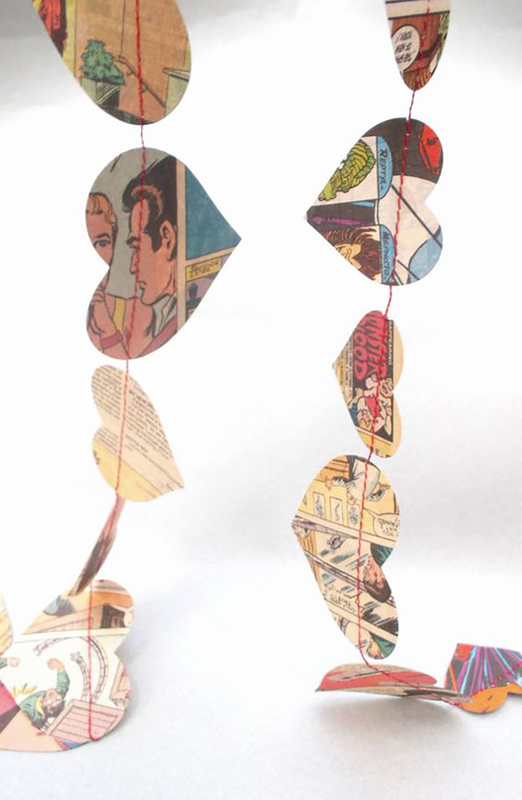 So if you're handy with a drill or a saw, or know somebody who is, you could be creating your very own wooden wedding decorations in no time! 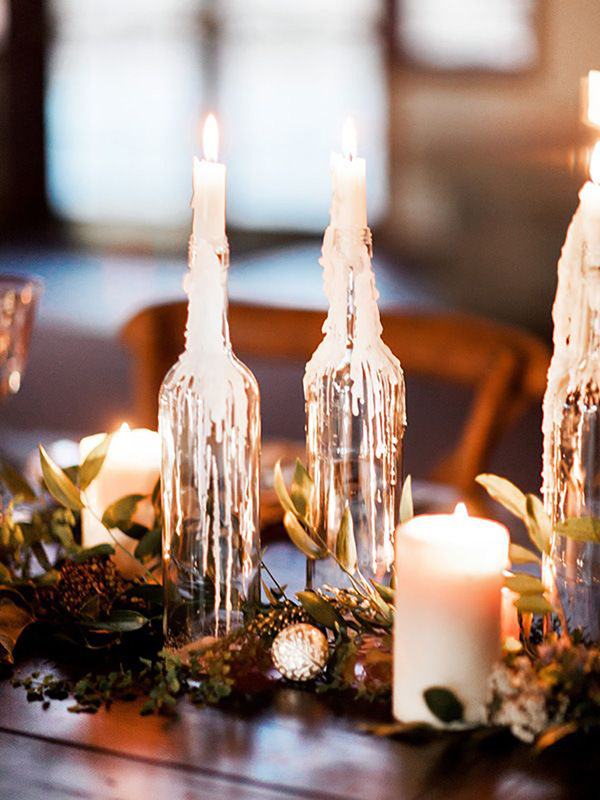 Candles and fairy lights can transform your tables into inviting and enchanting setting for your nearest and dearest to enjoy. 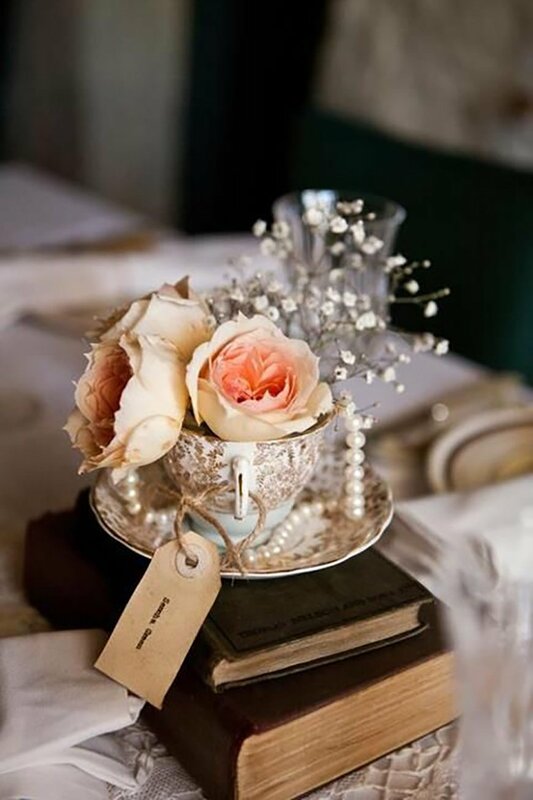 Get your crafting hat on find a way to make them unique to your wedding for that extra-special touch! 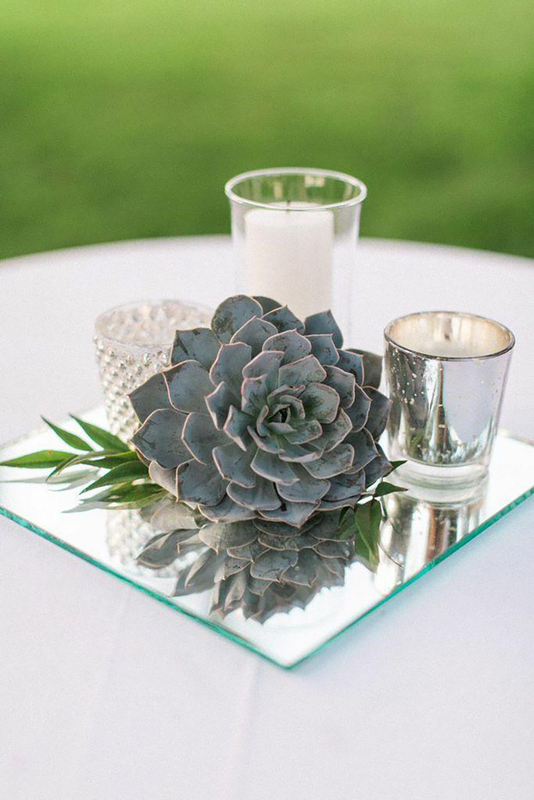 Mirrors make a beautiful focal point for your wedding tables and are a simple decoration to use if you're doing the ‘homemade' thing for your big day. 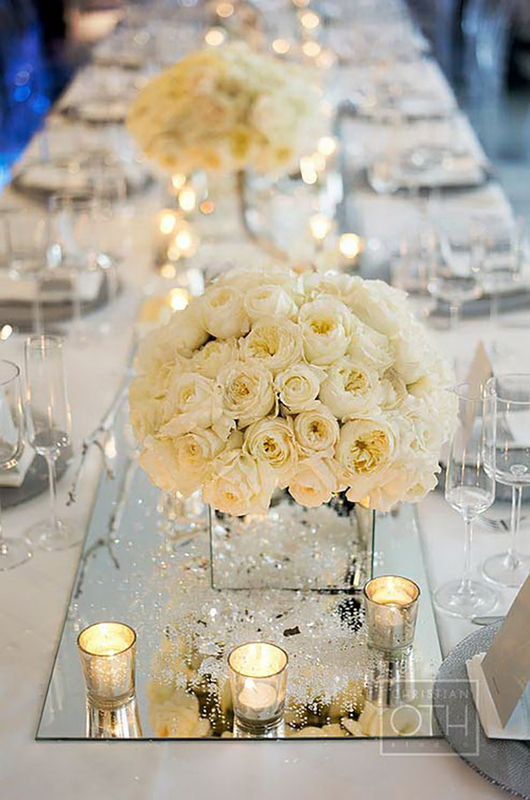 They look great when combined with lights, flowers, metallic elements…pretty much everything really! 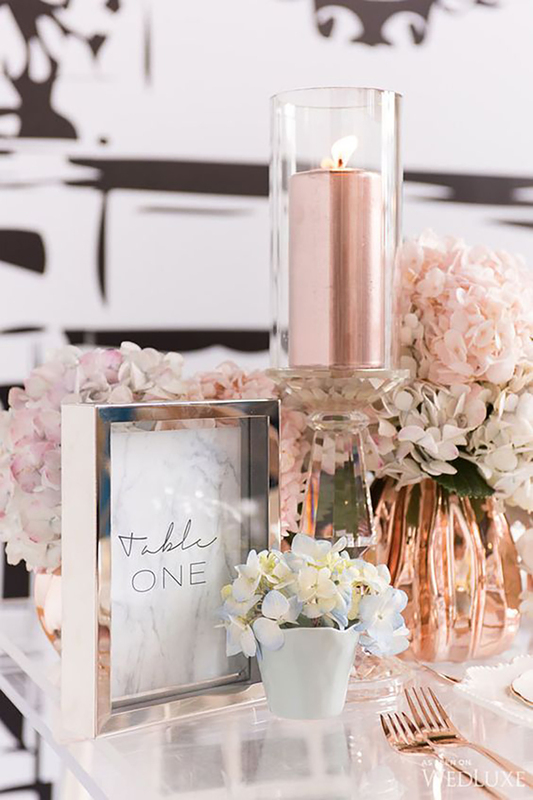 Metallic colours are all the rage still and there are some really beautiful ways you can incorporate these contemporary shades into your wedding table decorations. 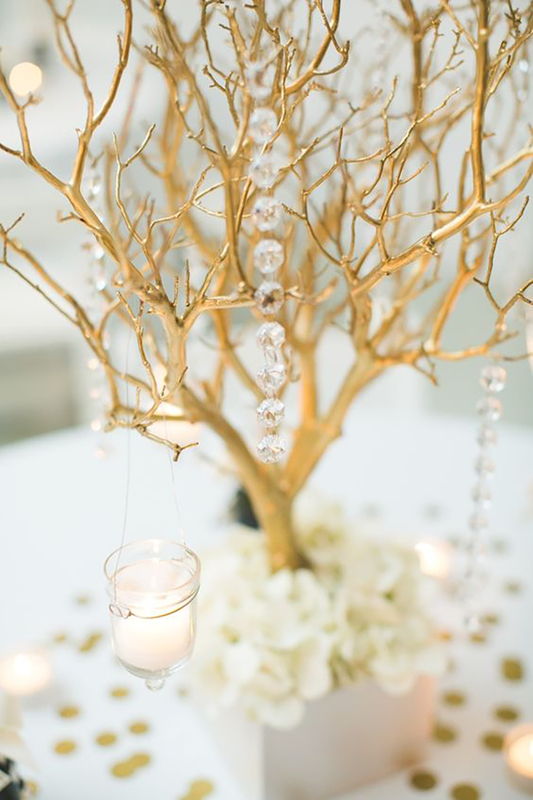 Gold, silver, brass and copper are all popular choices and work wonderfully with a wide range of colours and textures. 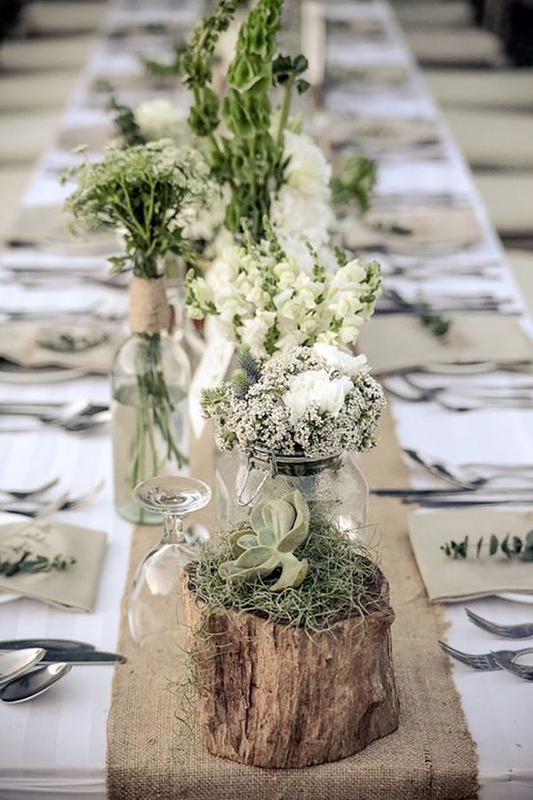 Basically, when it comes to handmade wedding table decorations, there is no right or wrong, so follow your instincts and go with whatever appeals to you. 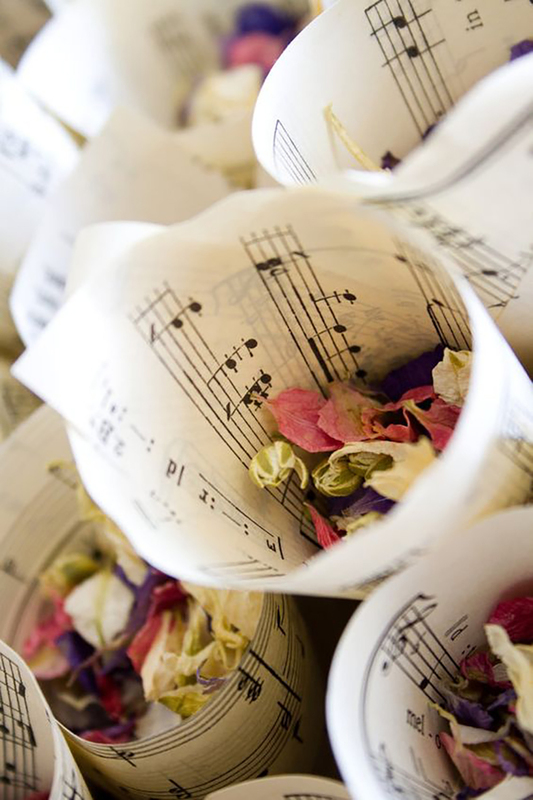 It's a chance to let your passions and personality take centre stage, whether it's music, literature, travel, or something entirely different. 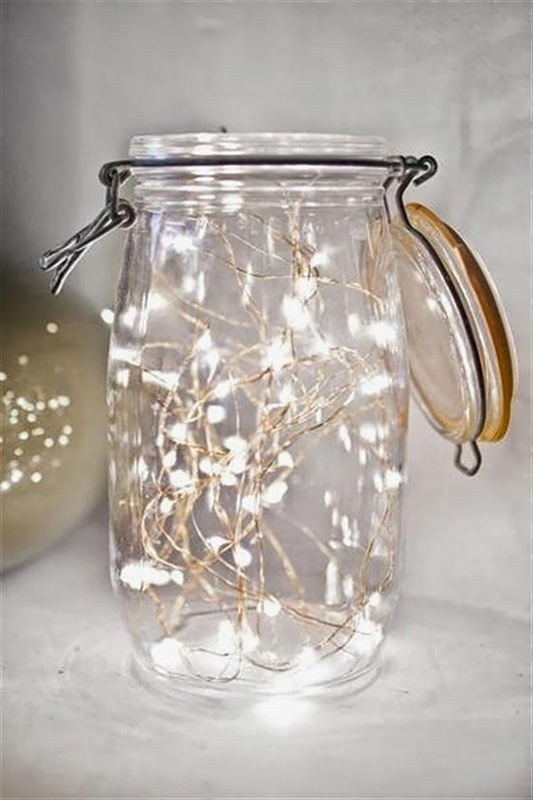 Get crafting and create something you love! 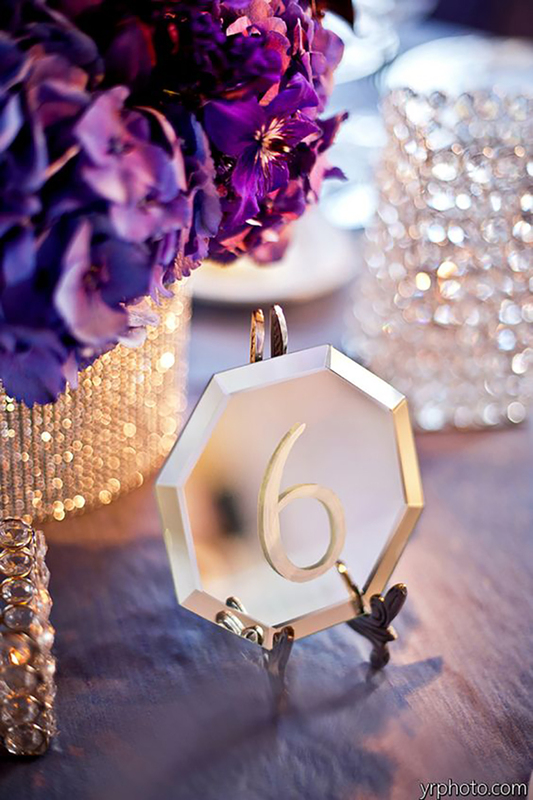 While we're on the subject of wedding table ideas, have you thought about your table names yet? 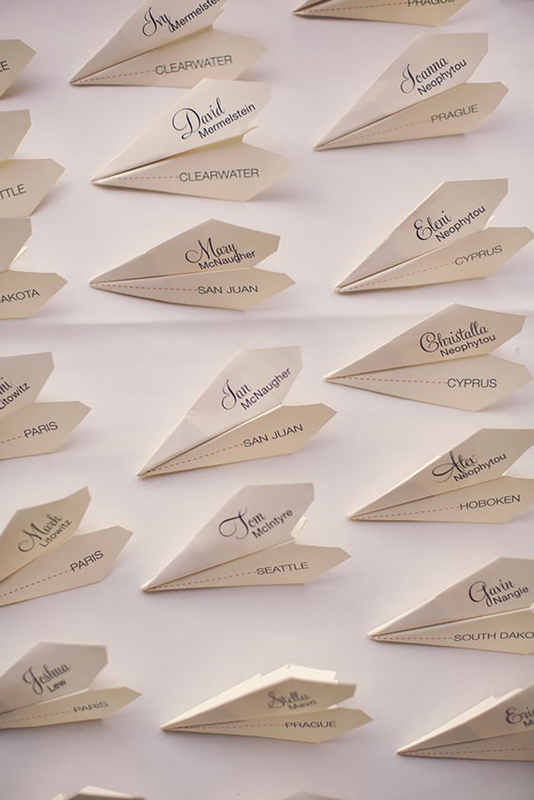 Take a look at these 30 Amazing Wedding Table Name Ideas and start planning yours today! 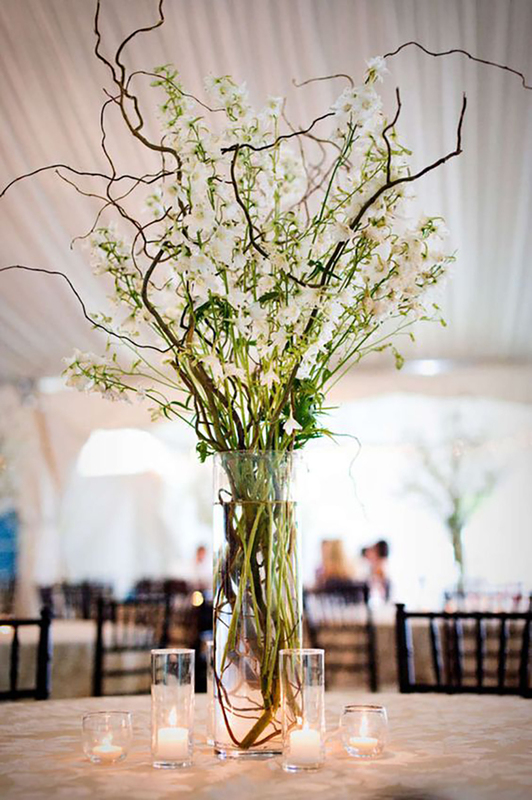 Wedding Balloons That Will Blow You Away!